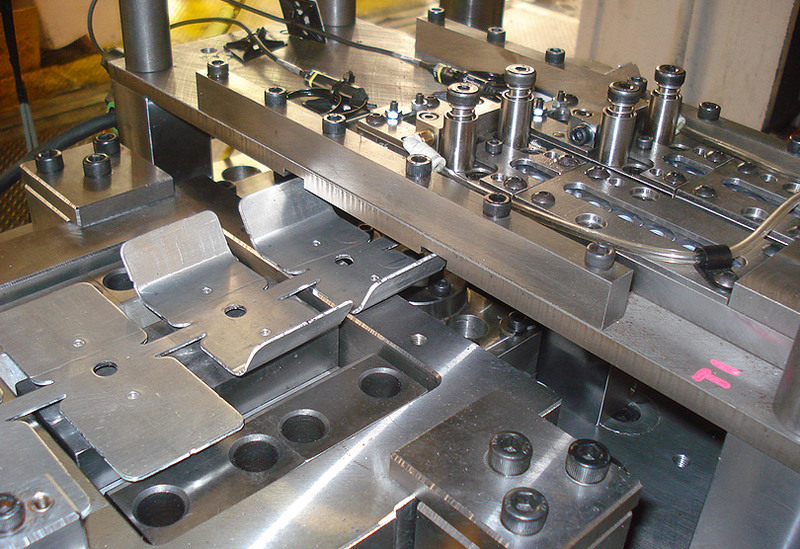 Top Down Tooling is used to install components such as pierce and clinch nuts, clinch nuts, pierce and clinch studs, clinch studs, locator pins, stand offs and bushings from the top down to the stamped part within the progressive or transfer stamping die. 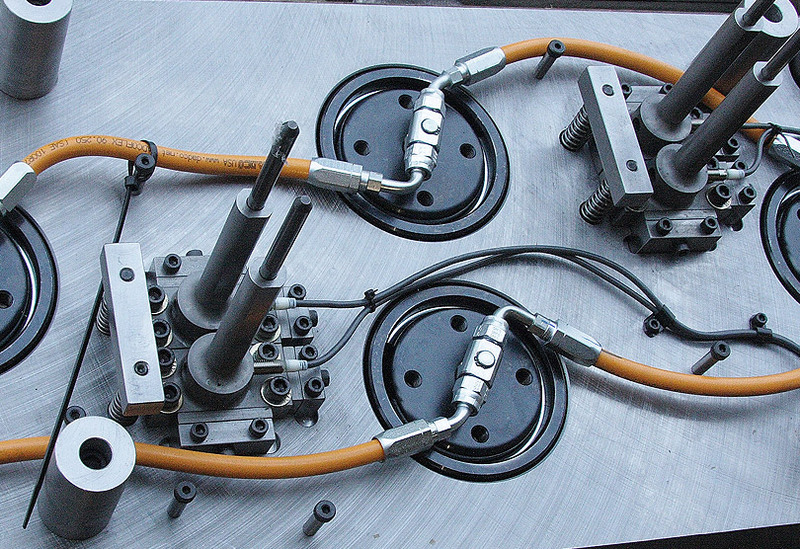 Where applicable the tooling uses force control and positive slug eject. 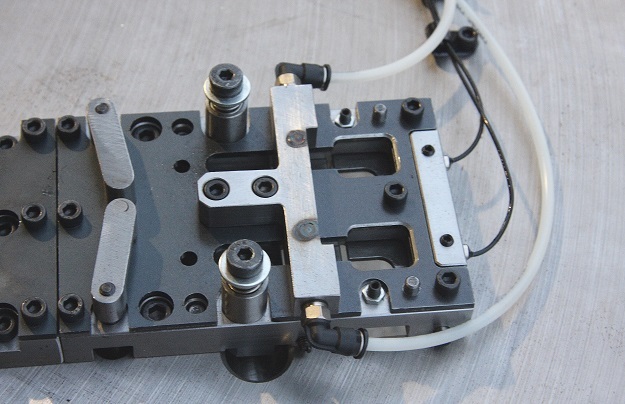 The force control system compensates for shut height adjustments, part material thickness variations and component manufacturing tolerances. 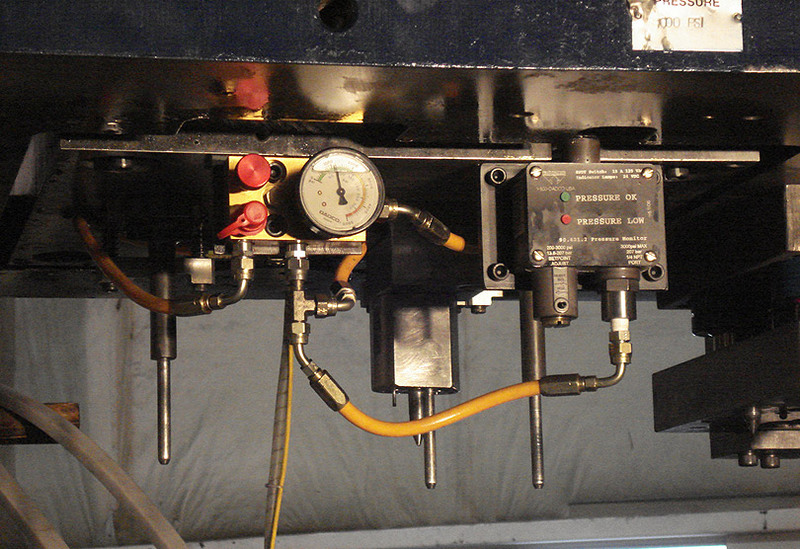 The positive slug eject system pushes the slug off the part and into the die button. 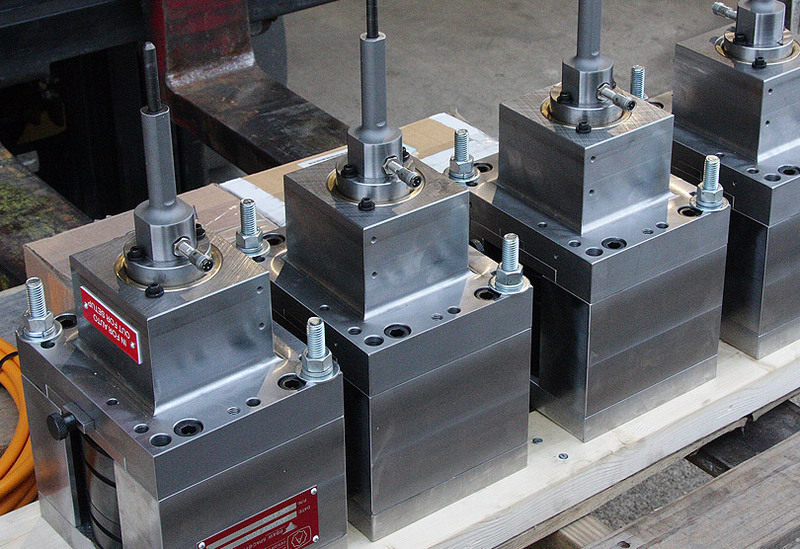 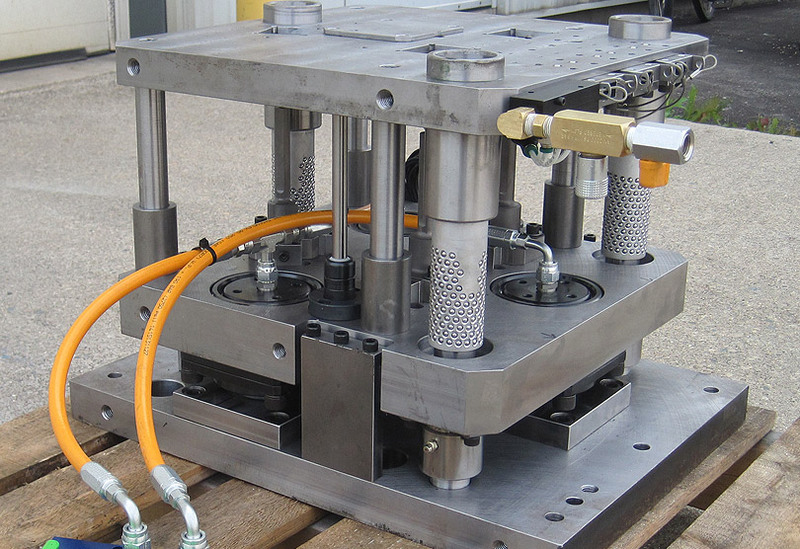 The tooling can be supplied has a single head or with multiple drivers on a common plate allowing components to be placed into the part at the same time. 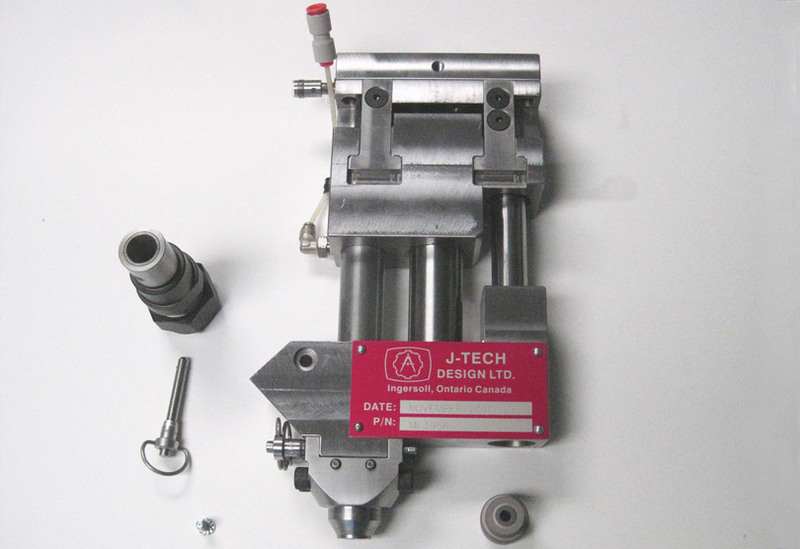 The components are fed into the die from an elevated gravity feeder or an air blow feeder system. 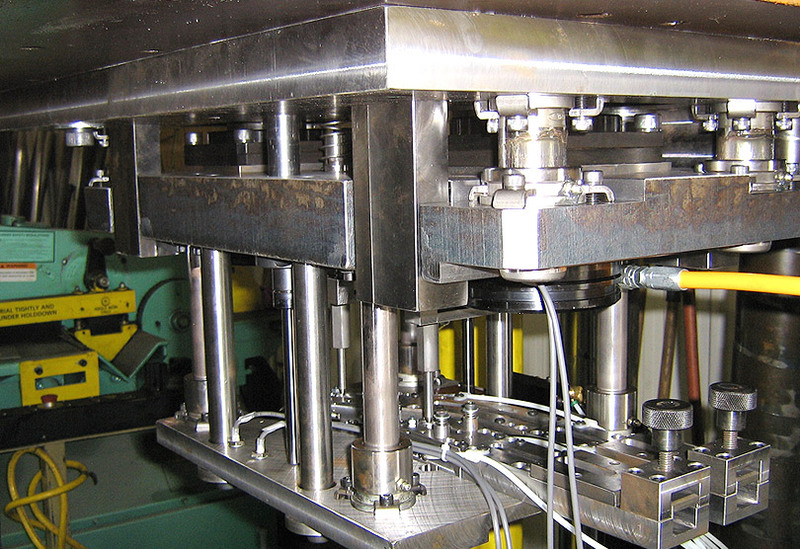 The feeder system has undersize nut outlets and uses profile blocks to ensure the correct component is fed in the correct orientation. 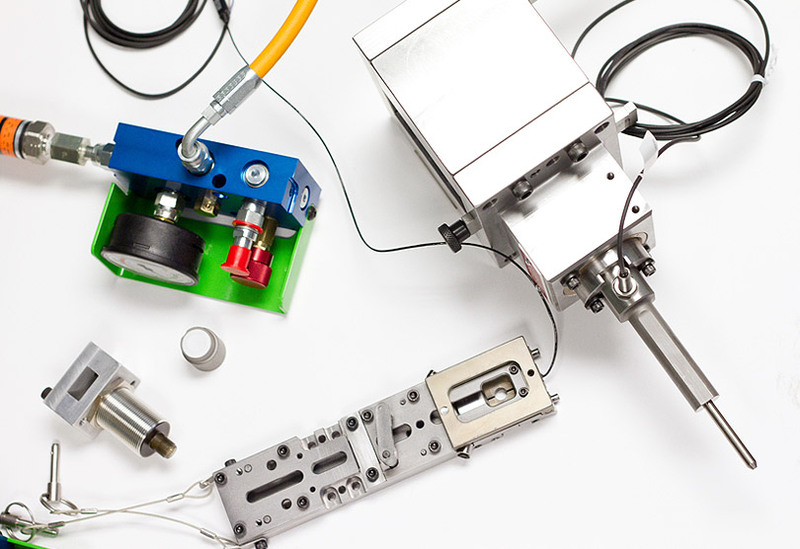 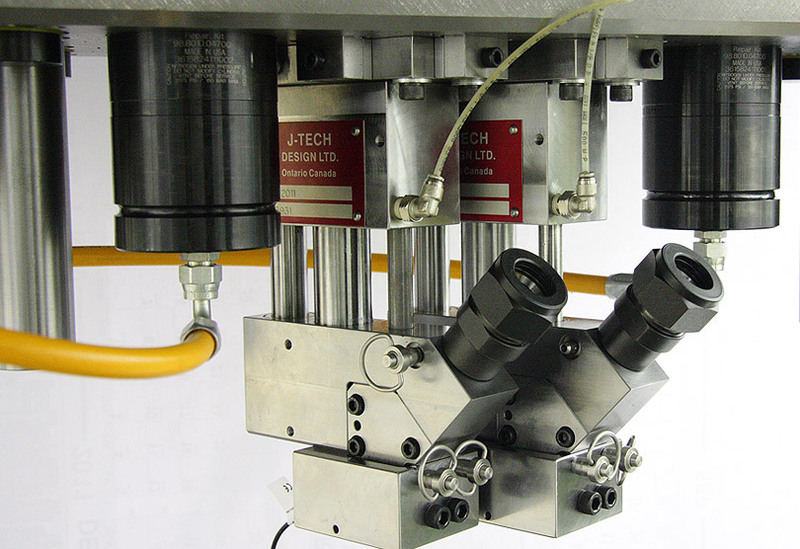 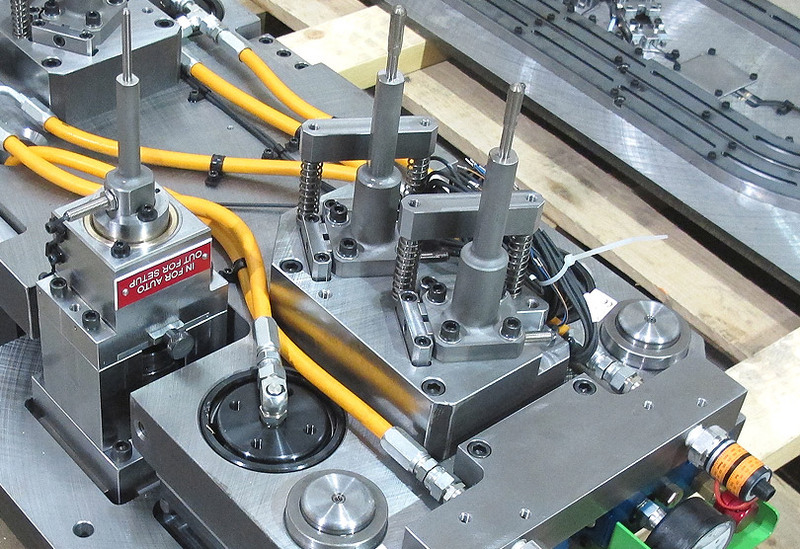 Typically our systems use UHMW chuting to connect the feeder to the In-Die Tooling. 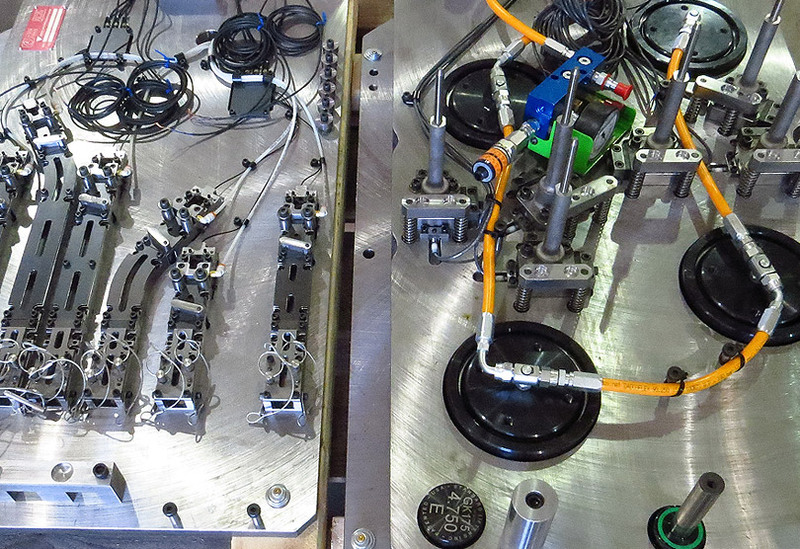 Sensors determine the components are in position and the tooling is ready to install. 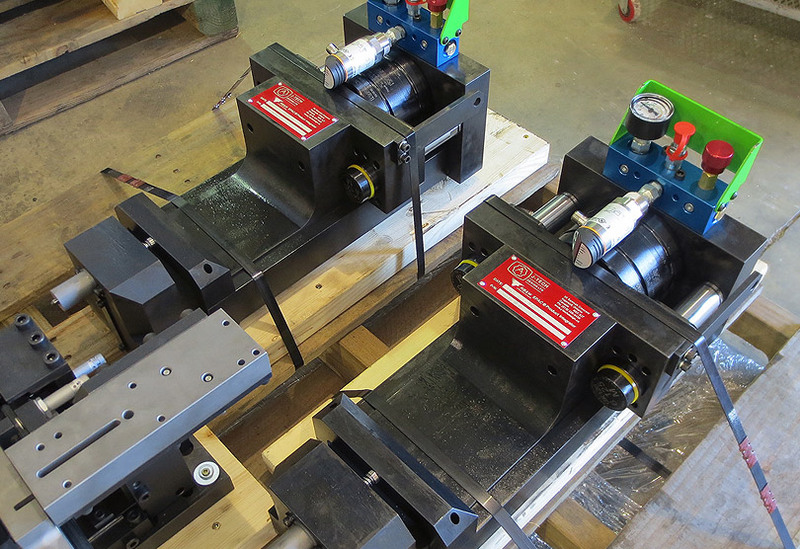 During strip loading the tooling can be placed in bypass mode. 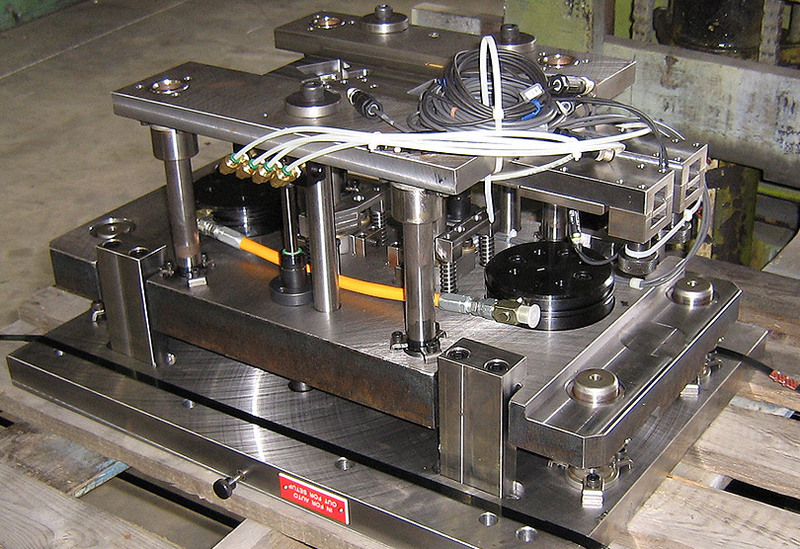 This allows the strip to be loaded through the die and then install components.